We offer airfreight from Helsinki-Vantaa airport to over 1200 airports in the world. We can also deliver your shipment from any place to Finland or to a third country (Cross Trade). For example from Stockholm to Lagos or from New York to Novosibirsk. If you do not find your destination in our calculator please contact us. We will make you an offer as soon as possible. Please ask for a special price for shipments over 1000 kg. Ask for a special agreement for regular shipments, long term collaboration and service for your EXW-customers. We offer LCL (small shipments) and FCL (full containers) from Finland to the world and from the world to Finland. The destination port for LCL is Helsinki. 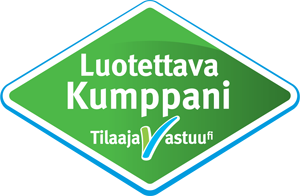 For Finnish end consignees we offer forwarding services and domestic delivery. Please notice that you can also order this service with delivery to customs bonded warehouses in Finland, the Baltic states and Russia. There are no hidden costs for you or for the consignee. An online price calculation tool is coming soon. Until then, please contact us by email.